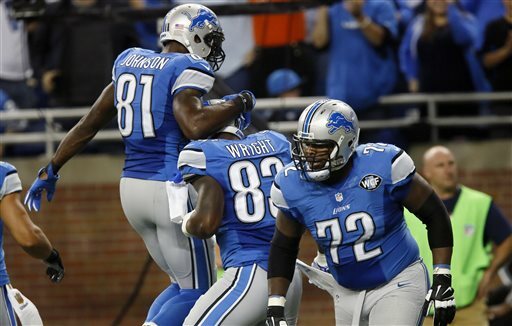 Join me for a live chat on the Detroit Lions at 3 p.m. on Thursday. The team is in London this week preparing to play the Kansas City Chiefs at Wembley Stadium on Sunday morning. Three coaches were fired this week and 31-year-old Jim Bob Cooter (center in photo) was promoted to offensive coordinator. What will the offense look like on Sunday? Plenty of questions this week. 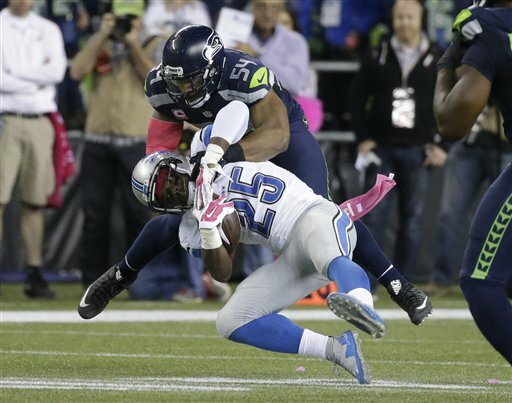 While the Detroit Lions at least have one win, there are still issues. The offense found a rhythm in the win over the Bears with Matthew Stafford and Calvin Johnson each having his best game of the season. Join a chat with me at 3 p.m. on Thursday to discuss the Lions (1-5). Bring all your questions and comments. 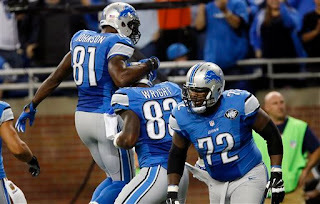 They face the Minnesota Vikings (3-2) in a big division game at 1 p.m. on Sunday at Ford Field. Frustrated? Feel like throwing in the towel? You are not alone - many Lions fans feel your pain. Join a chat at 3 p.m. on Thursday about the Detroit Lions. Bring your questions and comments. Let's figure this out. 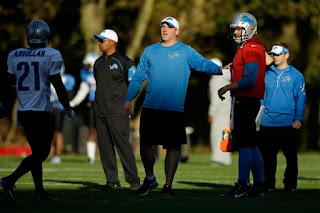 The Lions are preparing to play the Chicago Bears (2-3) on Sunday at Ford Field. ALLEN PARK — Lions got you down? 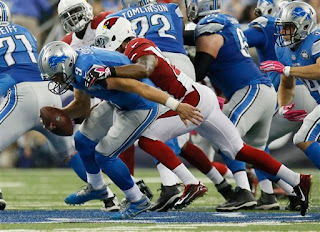 Bring all your questions and comments to Thursday's live chat at 3 p.m. We'll discuss everything that ails the Lions (0-4), the only NFL team that has yet to win. 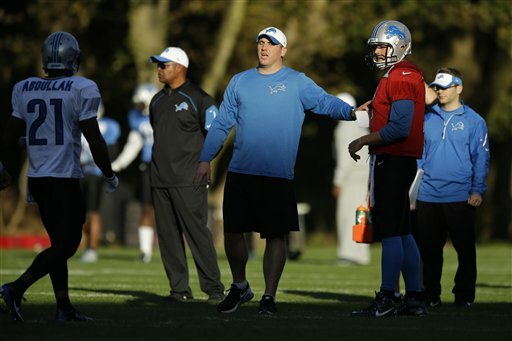 It doesn't get easier as the Lions prepare to play the Arizona Cardinals (3-1) at Ford Field on Sunday. It's the first of three straight home games for Detroit which played three of the first four on the road with two trips to the West Coast.